Bienvenidos a Justo Dome & Asoc. Justo Dome and his team are at your disposal as regards quotations and or technical enquiries. Find more information about our company here. The services we provide are ISO 9001 Quality Certified. We achieved certification as a result of the joint efforts of our company officials, working teams and auditors. JUSTO DOME & ASOCIADOS S.R.L. continues the activities of INCOCIV Consultants, capitalizing over 35 years of experience regarding studies, projects and engineering works inspections. 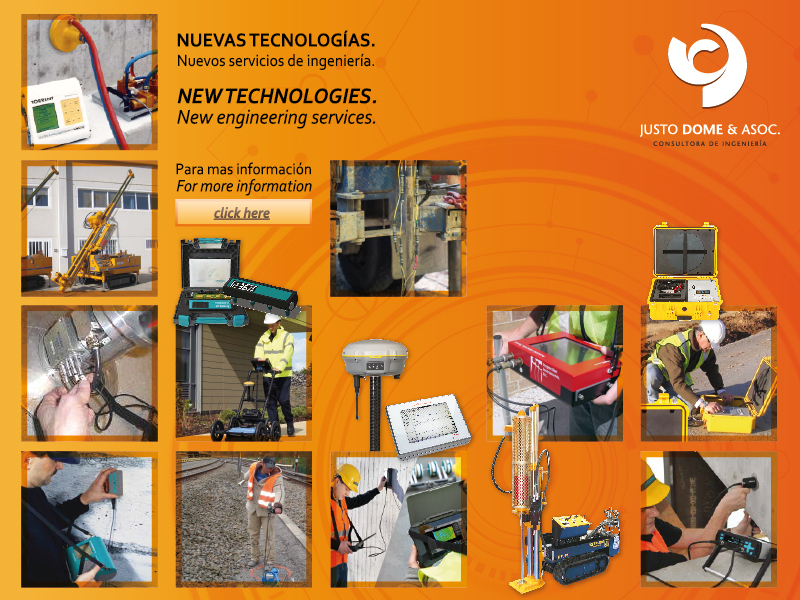 SERVICES OFFERED BY JUSTO DOME & ASOCIADOS S.R.L. On this site you will find information on the services we provide. JUSTO DOME & ASOC SRL, continuing the work done by INCOCIV Consultants, is a Company that capitalizes the vast experience gained in 37 years of ongoing services supplied in the areas of engineering applied to projects of varying magnitude. This has provided the company with flexibility as regards handling orders. We are capable of meeting the needs of multidisciplinary assignments as well as those of a more concentrated specific nature, in an equally efficient manner. Receive all our news, soon, through our newsletter. In providing services, you are managing a Quality Management System according to ISO 9001. We maintain continuity of work with private companies and public agencies in the country and abroad. Independent company providing professional services in the field of Engineering and the Environment.